I have been a star wars fan since I was 7. My knowledge of it ranges from the movies, to times after, and before them. I even have extensive knowledge of the sith. Along with much knowledge of the Jedi. I left because I felt that the darksided jedi wern't treating me well. They got to much into their RP that they really started acting like cocky sith. I didn't like that. So I left. Now I follow the lightside, so I can be with people who suit my lifestyle, and personality. I wish to be a soldier. Someone who helps fight the wars, and of course, help win them! I'm a very experienced army leader, having lead multiple all jedi armies on SWG. Eventually i'd like to move up high in rank so I can play a bigger purpose in the guild. Your jedi, what other reason should their be? You follow the light, and abide by it, even in times of hardship. I respect that... But, you also know that having a good time is also a manditory thing! I find the Army of Light a great fit for me, because It will give me a chance to express myself, and show everyone what I can do! Not much to be honest. All I expect is a mature community, who is not judgemental, and/or rude. 16+.... Hmm.... That may be a problem. I am but 13 years of age. I hope that doesn't interfere with your choice of accepting me or not. I am very mature for my age. I am very experienced in the Jedi/Padawan roleplay, and I find it very entertaining. I am really willing to participate in all types of RP. I'm always open to new things. I can benefit the guild by providing an experienced soldier. I have fought, and lead many battles. I can also provide knowledge, and as much time as I can. Someone who thinks about what they can do for the guild, not what the guild can do for them. 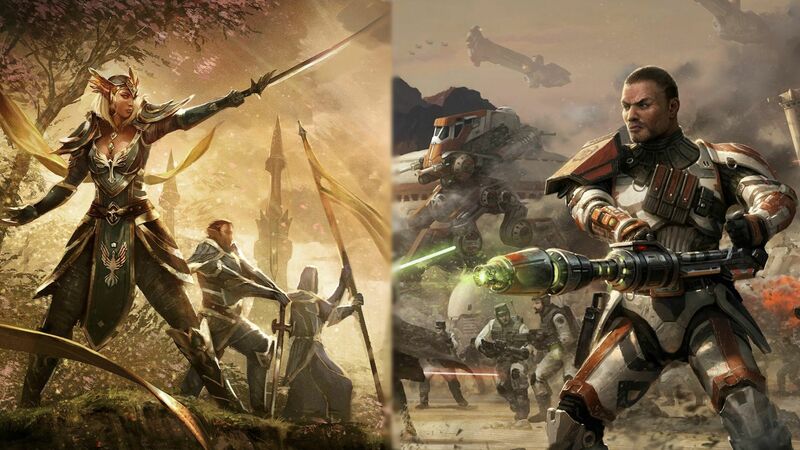 I found it in the forums on the SWTOR website. I have visited the website, just not the chatroom. I have familiarized myself with the things stated above. I can commit my all. My time, and my knowledge. My whole hearted sincerity and loyalty. Respect: Yes, I do. I am always respectful towards my superiors, and even those of equal and lower rank. Honor: Yes, I possess honor. I never dishonor a promise, or an oath. Nor would I commit any acts which could take away my honor. Loyalty: Yes, I am loyal. I would never betray my friends, or my superiors. Maturity: Yes. I know when to be a kid, and when to be serious. I had helped my friend who was struggling with personal issues. I did my best to comfort him, and help him through it. I would make one of my group go ahead and destroy the communications relay. After that, the camps inhabitants would probably go to see what happened. While most of them leave, me and my other group member would take out the ones who stayed behind. While my 3rd group members runs back to us, with the sith following him, me and my other group member would set up various traps. Then ambush the sith when they returned. I am a very kind, and caring person. Slightly sensitive, but still strong. I put my friends before myself at all times. And keep the ones I love protected, even if it goes unnoticed. I don't care if I don't know you, i'll still help in any way I possibly can. I am also very wise for my age. I am usually the person my friends come to for advice on any subject. If you respect me, i'll respect you! -Character Physical/Mental Features: Kenkora Vek is a very tall man. Standing at 6 feet 4 inches. His muscularity is average, but holds more strength then it seems. His mental skills are very ranged. Having studied many aspects of the world. -Character Biography: Being born on Dantooine, Kenkora grew to respect nature. He would always find himself helping injured animals, or even building a birds nest. At the age of 5, the jedi had taken him to the jedi temple for training. There he learned to use the force, and wield a lightsaber. His mediclorian count was higher then most, but he still struggled to achieve his full potential. Even now, at the age of 26, he is still trying to master his powers. Kenkora was always one to venture off, and find treasures that most couldn't. He loved nature, and would always find himself helping it in some way or another. Kenkora's moderatly long blonde hair, always served as a distraction while observing things. He soon learned to mostly see through the force. Now days, you will find him in the library, training with his lightsaber, or running around in the forest looking for some unknown wonder. Great hahaha. I've had this name through so many different games it's not even funny LOL!. Oh, Jando, come inspect this thread.... Welcome, Kenkora, I think you may have a new RP brother in this guild. You will meet him soon enough. Good luck, and welcome. Actually this is pretty funny, don't have to change your name but we are gonna have to get this figured out. Jando's long lost sister! C'mon, hug, hug! Jk, but this will make RP interesting. Ahemm.. Sister? lol. Make that brother! Well your app is very good and I would love to arrange an to arrangement, only problem I see is your age but by your app you seem like a person more mature or as mature as a 16 year old, this guild seems yo attract such people. Lol Cormac, don't get genders confused here, though girls are of short supply in this guild. Hehe, I know. I just love seeing reactions. You seem nice, we will get along well. Ahh, Yes. My age haha. I thought that may be a problem. But, I really hope it doesn't throw my chances of getting in to far off. Well, btw, nice to meet you guys! Well we have a lot of 13 year olds in this guild and they perform highly well such as Cormac here who is the highest ranking NCO Trooper. Oh wow. Then I guess I shouldn't have too much of a problem then. Probably not, I will vouch as a fellow Vek lol. Shweeeet hahaha. In all honesty, you don't know how surprised I am to see someone who chose that last name too! I am also thirteen, Kenkora, and I got in within a day or two. Age is but a number if your app is good. We have a Jedi Master, Traxex Wraw, is was twelve when he joined, so age is no factor against hard work. Awesome! I hope my app was good enough to get me in then! It's also good to know I won't be the only 13 year old around here! Lol. I have seen one other but it seemed just a random chance on xat, but I am still really surprised as well and especially in the same guild. Anyways trax said he was 13 when I asked. Well what a coincidence eh? I mean Vek has been a RP last name for me for as long as long as I can remember! Well I like it, it is easy to remember and sounds cool when putting a title in front of it.